Excel Driver Services is a free-decision school, meaning our students have the opportunity to choose the career that best-aligns with their life goals. Our Career Placement Specialist team is here to act as your agent in the transportation industry to represent you as a driver & help you make the right career decisions to keep your life goals on track! 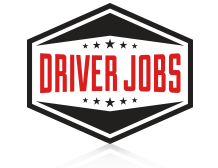 Excel Driver Jobs is built for you with one purpose in mind: Connect Drivers & Carriers in the most impactful way possible. Whether you are a New-Driver or an Experienced Owner-Operator, our team is dedicated to lifetime career placement support & we are here to help you find the best career that works best for you. After attaching a transcript to your resume, we want you to feel confident that your employer knows what you can bring to their team. By doing so, you can find the job that is best-in-line with your goals as an American Truck Driver. Thanks to increased production in America’s Economy, The Transportation Industry has been growing at an exponential rate. Drivers are in high demand needed to keep our Nation thriving, and in short, we are thankful for our Nation’s Profession Truck Drivers that keep the American Dream moving forward.